Congratulations on your decision to tie the knot. 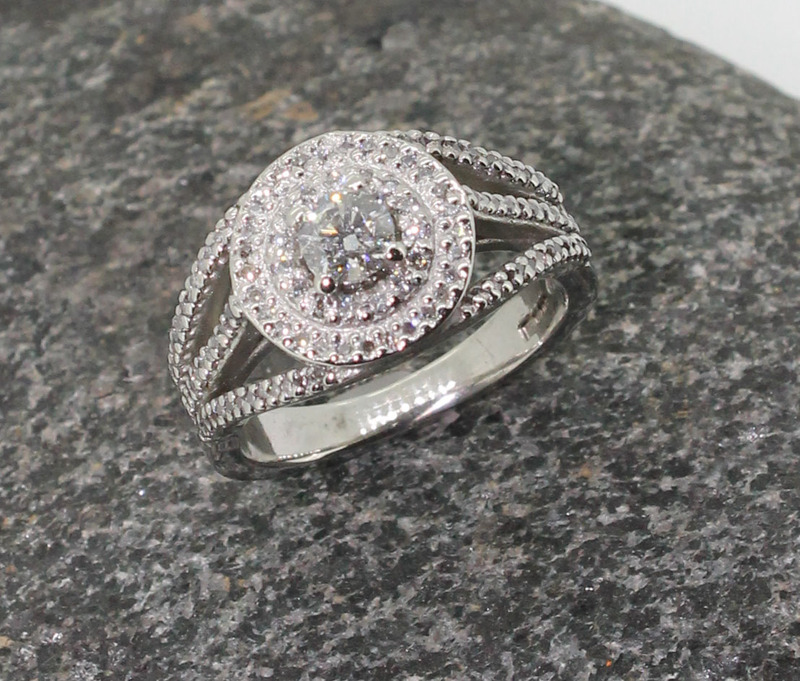 A very exciting time whether you are getting engaged or working on the wedding arrangements. 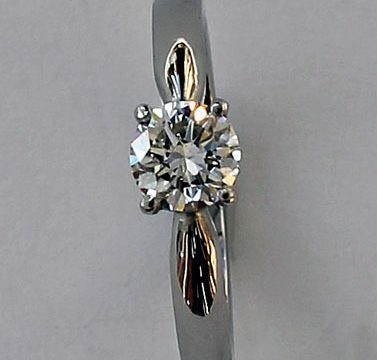 If you haven’t been able to find your perfect ring or you have been lucky enough to be given an old piece of jewellery to help you, I hope I can translate your ideas into the ring of your dreams. I work in all the precious metals and can obtain gems for you to view and select from without obligation. 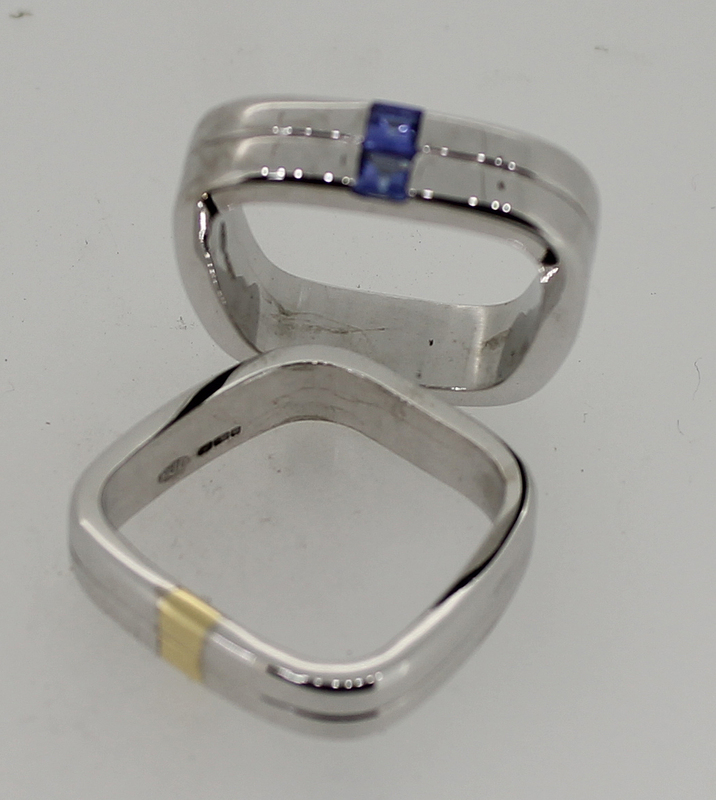 I have lots of photos to give you ideas and will design your ring using your ideas and information. 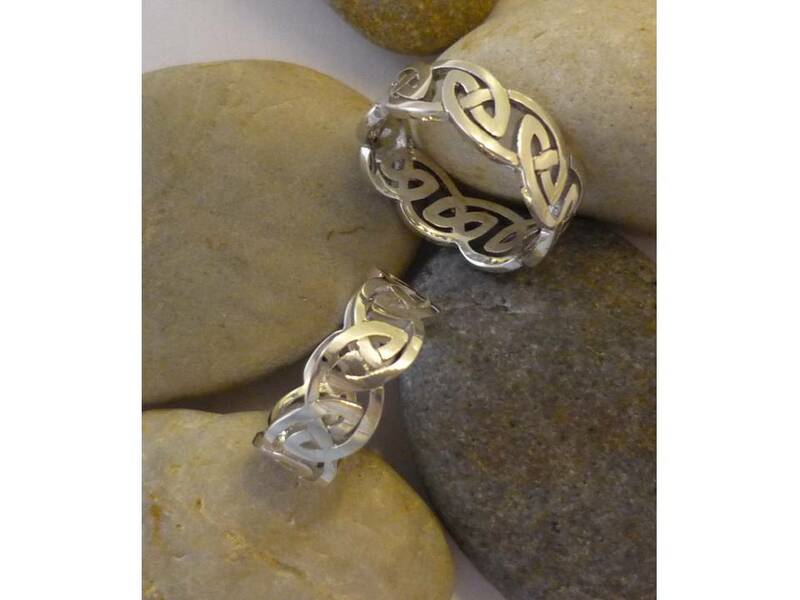 Consultations are completely free and the costs are all given before work begins. I have written a page of facts for you to consider before any purchase. In all the excitement you may not have considered one or two of the points. 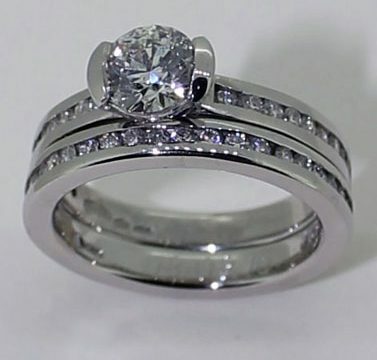 It is always nice to do work for young couples, I can feed off your enthusiasm to make you something special. I hope you like some of the images I’ve put on this section of my website and if you have any questions or queries I’ll be pleased to help you. I’m available via the e-mail address or phone number. 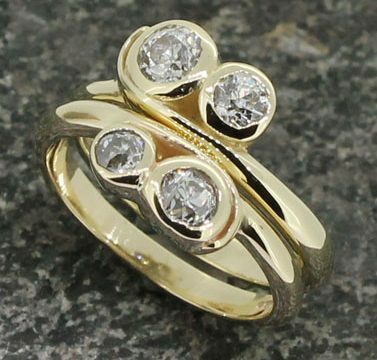 Two 18ct yellow gold rings, each set with two diamonds. 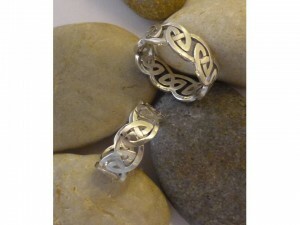 Can be worn as one ring or with band between them. 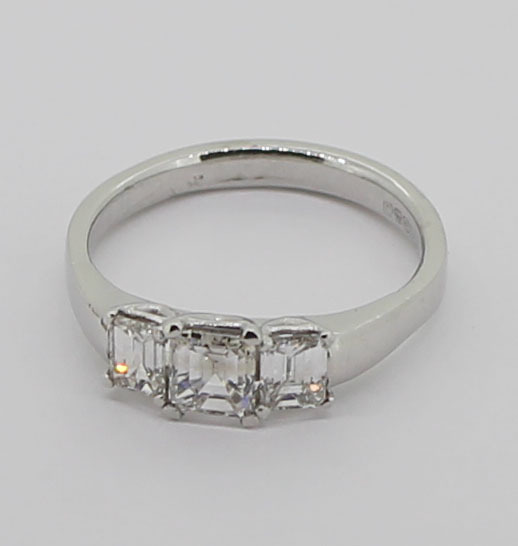 18ct white gold Diamond solitaire ring. 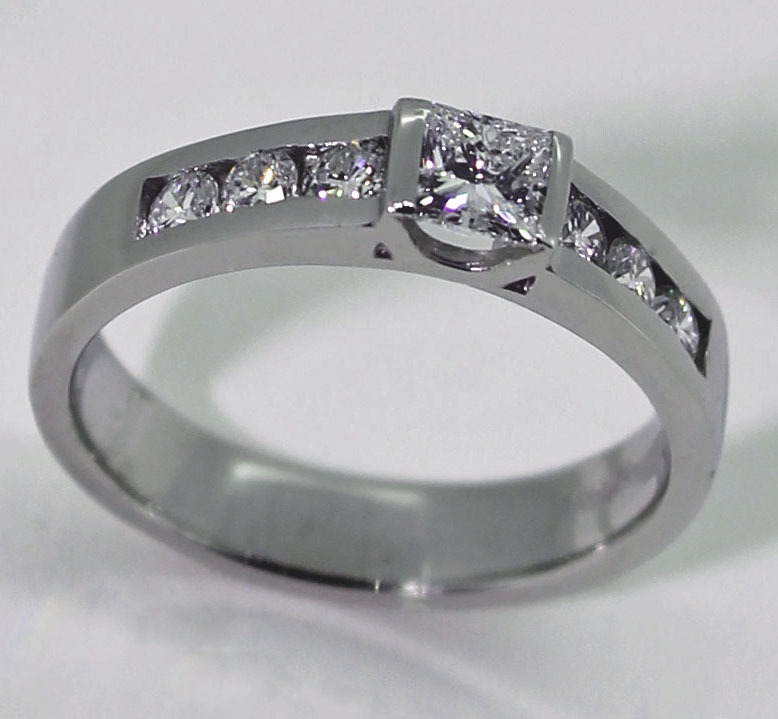 Diamond in open rub over setting with double crossing under shank feature. 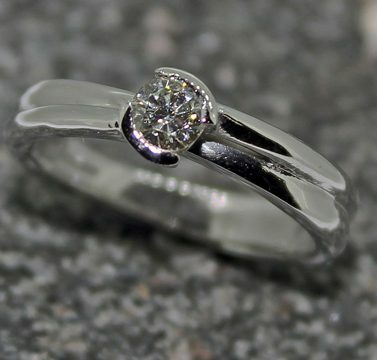 Diamond solitaire in open rub over setting with diamond channel set shoulders and matching wedding band channel set with diamonds. Made in Platinum. 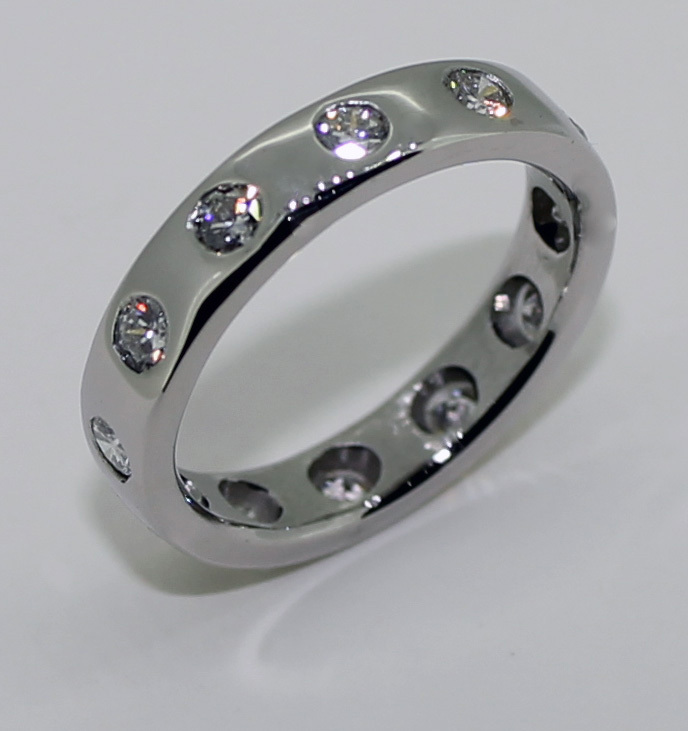 4mm wide platinum wedding band, gypsy set with 2.8mm diamonds evenly spaced around the band. 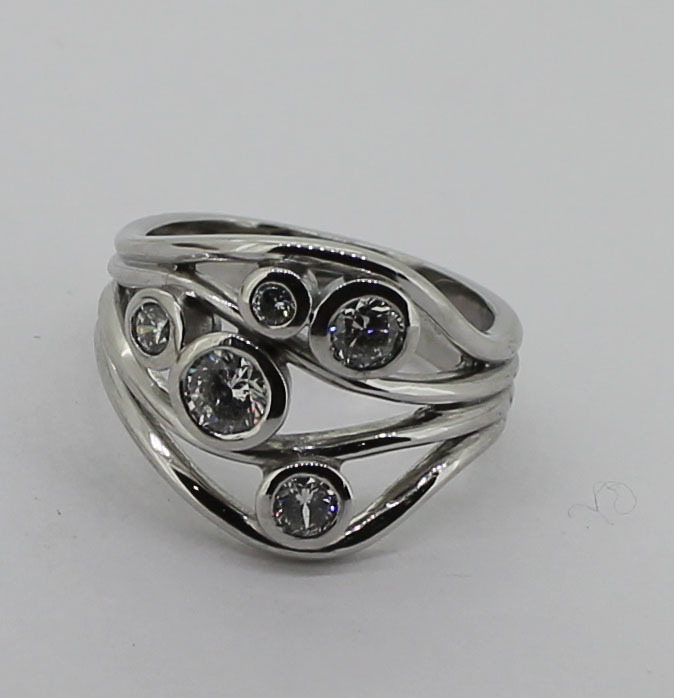 18ct white gold 4 wire band ring, rub over set with 5 mixed size round brilliant cut diamonds.